Gear4 HouseParty Portable review | What Hi-Fi? Gear4 was one of the first brands in the world to launch a range of iPod accessories, so it knows a thing or two about docks and, more recently, wireless speakers. The Gear 4 HouseParty Portable is a combination of the two: it’s a Bluetooth speaker with an iPod dock stuffed in for good measure (the old 30-pin Apple connector, not the new Lightning connection). 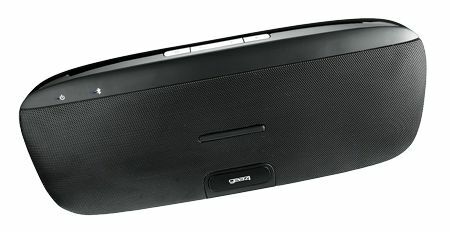 It’s got aptX Bluetooth, which means superior wireless sound with a compatible device (the Samsung Galaxy S3, for example). There’s a smart Android and iOS app (and a remote), which shows you extra info such as battery life (it’s good for up to 16 hours using the internal battery), and a USB input for charging your portable. Sadly, the sound quality doesn’t quite hold its end up. Bright and lacking in weight and detail, the extra volume and scale that the bigger dimensions deliver are scant consolation. That’s a shame, as it’s feature-packed for the money.